More than 245,000 candidates, backed by 16 national political parties and 4 local parties, are vying for over 20,000 seats in the one-day poll in Indonesia. Jakarta: Indonesian voters on Wednesday began their voting in what was called the biggest single-day election worldwide. The voting process began at 7 AM in Papua, two hours ahead of Jakarta, reported Xinhua news agency. As many as 350,000 police and soldiers will be deployed across the country during the election period. Already there are 1.6 million paramilitary officers stationed across the 17,000 islands in the country as a safety measure. The polling stations opened in the eastern province of Papua located in the vast archipelagic country. Voters had lined up to cast their ballots to select a new president and members of the parliament. Security escorts had delivered the ballot papers to remote places by plane, speedboat, canoe and horseback. Two speedboats were deployed for residents on the Thousand Islands chain situated in the north of Jakarta. In an effort to prevent fraud at the polling stations, over 10,000 people had volunteered to crowd-source the election results. The two-horse race presidential election pits incumbent President Joko Widodo against his populist challenger Prabowo Subianto. President Widodo picked Muslim cleric Ma’aruf Amin as running mate, while rival former general Prabowo Subianto was paired with former businessman and deputy governor of Jakarta, Sandiaga Salahuddin Uno, stated the general election commission. While Widodo emphasised the importance of economic stability and business-friendly environment, Probowo is expected to approach protectionism in order to champion people’s prosperity. Meanwhile, over 245,000 candidates are contesting in these legislative elections with the support of 16 national political parties and four local parties. 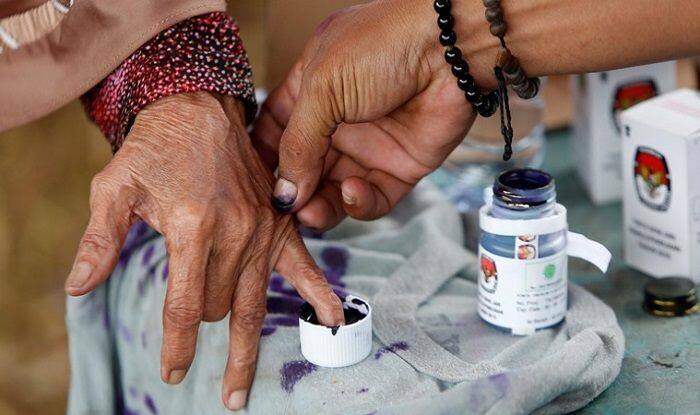 They are vying for more than 20,000 seats in the parliamentary elections during the world’s biggest single-day poll. As per a report, over 192 million people are eligible to vote at the national and regional level to select the president, vice president, and national and regional legislative candidates.